Whilst many golfers respect the course and repair their pitch marks, unfortunately not all do. 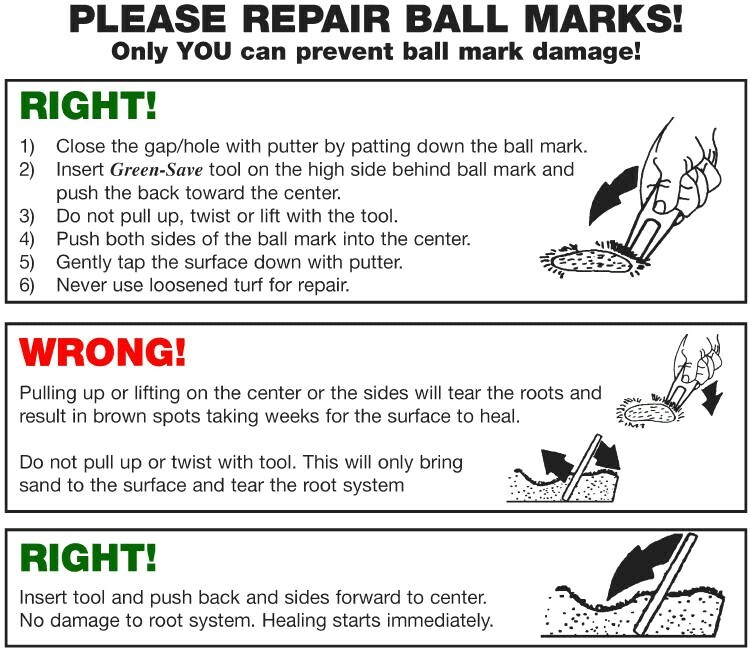 Repair a pitch mark straight away - It’ll be good in days, but leave a pitch mark for someone else to repair, it can take at least 6 weeks to return to normal! An unrepaired pitch mark leaves the grass susceptible to disease. Treatment can cost £1,000 per green! The video below gives an entertaining insight into the problem.